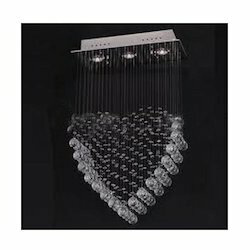 Manufacturer of a wide range of products which include crystal ball chandelier, crystal hanging ball chandelier and hanging ball chandeliers. 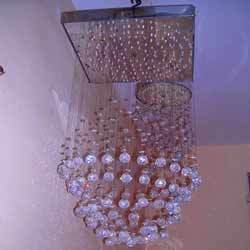 We offer an eminent range of Crystal Ball Chandeliers. The offered range is manufactured using high grade raw material and sophisticated technology. This crystal ball is broadly appreciated for its striking look and scratch resistance features. We are having wide collection of Crystal Hanging Ball Chandelier and has become first preference of our esteemed clients. The contemporary range that we offer is blended with traditional designs to create an extraordinary product. These chandeliers have the ability to add enchantment to the ambiance of the place. 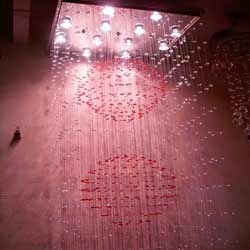 Our clients can avail from us Hanging Ball Chandeliers. This is designed in accordance with international quality standards & norms, using premium grade raw material. These are getting popular day by day among our clients. These are available at industry leading prices.